Adapt this sales resume sample for your own use. 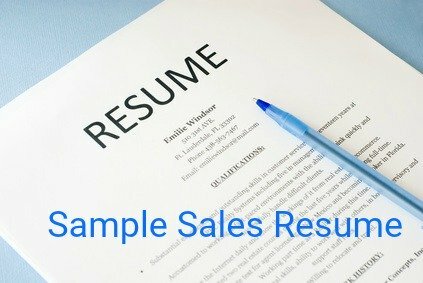 Sales success is measured in numbers so be sure to include these in your resume. Describe your accomplishments in terms of your contribution to the company's bottom line. Detail the range of your responsibilities including territory and products. Describe the level of your achievements such as sales revenue and the size of your customer base. Include your industry knowledge and your specific areas of sales expertise. 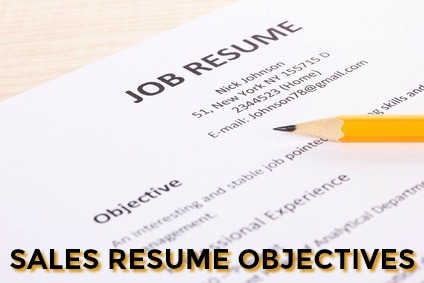 Select the information for your sales representative resume that relates directly to the sales job opportunity. Seeking a sales position in a growing company. A sales representative position in a challenging environment. To obtain employment as a sales professional in a dynamic company. A hard working and results-driven sales professional with X years experience focused on X and Y industries. Proven track record in meeting sales targets and achieving an average of X sales growth over the last X years. Excellent communication skills and in-depth-product knowledge coupled with the ability to interact at all levels result in the successful implementation of workable solutions for clients. Strong customer relationship management skills ensure improved customer retention levels in a highly competitive market. A committed team member who makes a significant contribution to increased sales revenues. A self-motivated sales professional with over X years experience. Excellent strategic planning and customer relationship skills contribute to an expanded customer base and improved customer retention levels. Proven track record in successfully introducing new products into a competitive market. Experienced at making high level presentations, delivering customer-focused solutions and consistently achieving sales targets. Highly proficient in all phases of the sales process from qualifying prospects to after-sales service. An energetic sales professional with a track record of consistently increasing sales revenue in a competitive market. Strong networking skills generate over X leads per month. Excellent negotiation skills and tenacity result in a closing ratio of X%. Proven ability to develop new territories while successfully servicing an existing diverse customer base and improving customer retention levels. A results-driven and resourceful team member with an impressive record of achieving sales targets. Include your own sales job information into this sales resume sample. Use the detailed sales job description to help you. 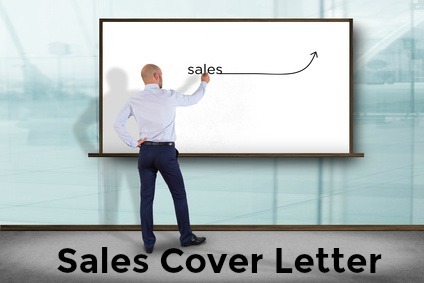 Make sure you send a winning cover letter with your sales resume. Use the excellent sample sales cover letter to prepare your own cover letter.